By now, everyone knows that the major federal agencies and big organisations like FBI, NSA and CIA are spying on you under their massive global surveillance programmes. Your local police might be spying on your activities, too. According to the recent details published by the New York Civil Liberties Union (NYCLU), the police department of Erie County, New York, has used the controversial "Stingray" spying tool nearly 46 times since 2010 without any warrant. Also, the police department of Baltimore used the latest version of the Stingray surveillance device, called Hailstorm, more than 4,000 times in recent years, reports the Baltimore Sun. Late last year, we reported how US Marshals Service gathered data from millions of mobile phones by using a little device, nicknamed "Dirtbox," in order to track criminals while recording innocent citizens’ information. Dirtbox was used in spy airplanes to mimic mobile phone tower transmissions from the sky and operates in the same way as Stingrays. Stingray or IMSI (International mobile subscriber identity) catcher is a cell phone spying tool that allows authorities to access people's unique IDs and phone numbers, track and record locations, and sometimes even intercept Internet traffic and phone calls, send fake texts and install spyware on phones. Law enforcement agencies, including the military and the intelligence, across 18 states and Washington, D.C. have been using these devices for more than a decade. 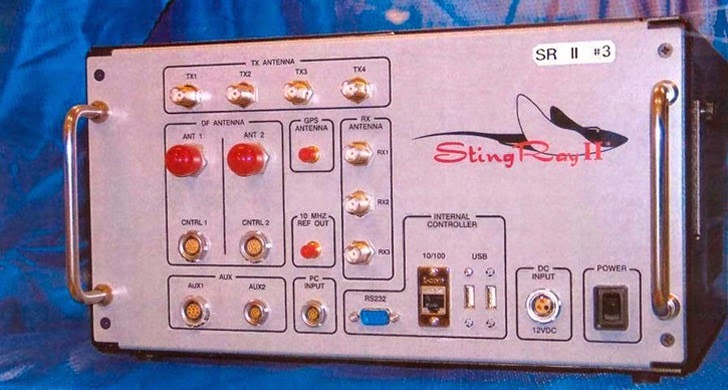 Erie County itself started purchasing Stingray devices in 2008 and has spent over $350,000 on them since. 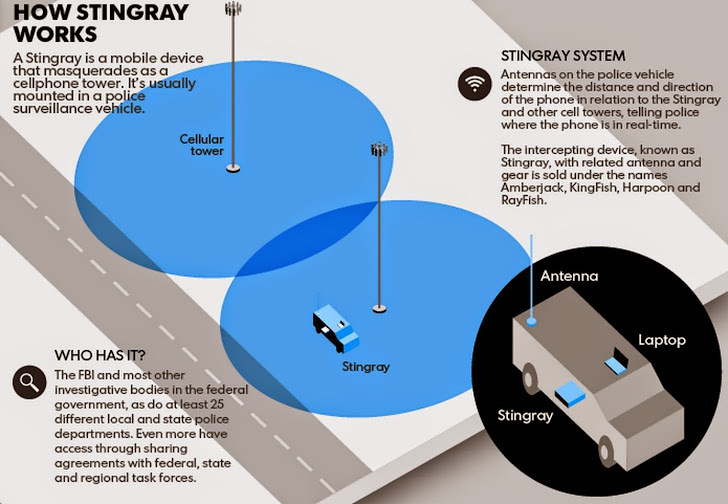 The cops in Erie County, including the city of Buffalo, used the Stingray surveillance devices at least 47 times and breached people's privacy. However out of those 47 times, only once cops obtained a court order to do so and thus contradicting the exact nature of the use of Stingray surveillance tool. Baltimore police department used the Hailstorm surveillance device and other similar technology about 4,300 times since 2007 under directions from the FBI not to tell courts about the use of Stingrays. The records also show that the Erie County sheriff's office had signed a gag order with the Federal Bureau of Investigation (FBI) in an attempt to maintain secrecy about its Stingray records. "Not only did the Sheriff's Office promise the FBI breathtaking secrecy to keep information about stingrays as hidden as possible, it [also] implemented almost no privacy protections for the Erie County residents it [was] sworn to protect and serve," said NYCLU Staff Attorney Mariko Hirose. A copy of the agreement signed by the department of Erie County was revealed by Cyrus Farivar of Ars Technica. The document contains the instruction by cops never to disclose the nature of Stingray surveillance devices, even in "any civil or criminal proceeding." In addition, Justin Fenton of The Baltimore Sun published online what it claims to be a copy of the non-disclosure agreement between the police department of Baltimore and the FBI, outlining terms for using Stingray technology. The department can not tell the court about using Stingray devices. Even in case the department learns that a prosecutor or a District Attorney is planning to disclose the use of Stingrays in court, it have to notify the FBI first so that the agency can intervene. The FBI I makes cops dismiss criminal prosecutions if they threaten to reveal secrets about Stingrays or if the case has the potential to "risk compromising the secrecy of how stingrays are used." Indeed, Erie County fought hard and tried its level best to protect its Stingray records, but in the end, the NYCLU managed to get a copy.